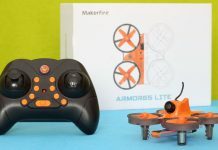 Let’s see what makes a kids drone friendly. Firstly it must be very safe and secondly needs to be easy to control. At first sight seems like JJRC H56 TaiChi meets both criteria, furthermore it is extremely affordable. 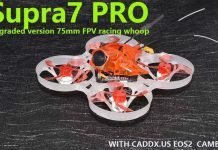 The Tiny Whoop alike blade protectors make the little drone very safe when accidentally bumps into something or someone. 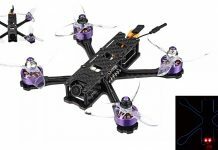 Thanks to the infrared sensing sensor, in addition to the classical control way (via remote controller), you can controll the JJRC H56 drone through your hand movements. JJRC released the H56 TaiChi quadcopter in 3 colors: red, white and black. The aircraft measures 8.5 x 8.5 x 3.5 cm and weights about 28 only grams. According to the manufacturer’s specs, the 300 mAh battery offers about 5-7 mins play time. Luckily, the battery is rechargeable, so you can extend the fun anytime. About 5~7 minutes flight time. Thanks to the barometric air-pressure sensor, the H56 TaiChi drone is capable to autonomously maintain its flight altitude at the desired level. Note: Children under age of 14th should be always supervised by adults when they play with remote controlled drones.